It’s a rainy summer morning in Hong Kong, and after the redeye from Bangalore I don’t know if it’s still my birthday or not. I think it isn’t here, but will be when I get home. The international date line is weird like that. 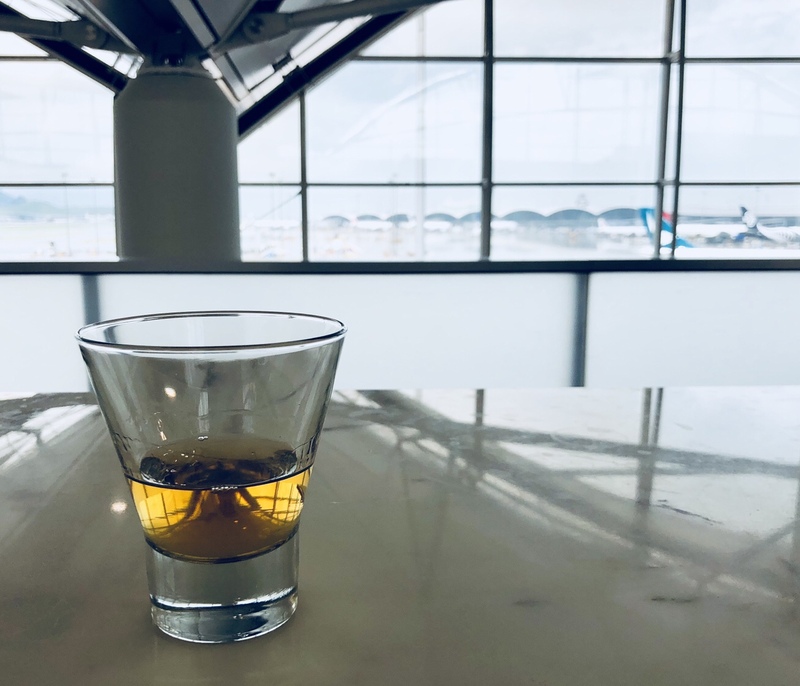 After texting my wife and making my way through security, I head to Cathay Pacific’s Wing Lounge and grab a scotch to sip (don’t judge, it’s 5pm somewhere) as I watch the planes and ground crews navigate their polkas on the slick tarmac. Then I remember that this lounge has a feature to explore. Tucked away upstairs behind the coffee lounge and the bar is a uniquely Hing Kong amenity, a noodle bar. 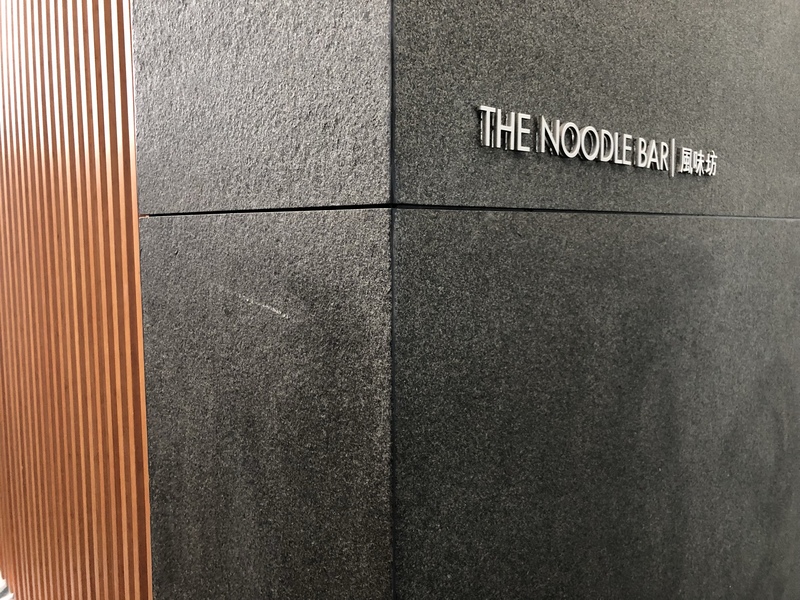 In an elegantly modern space lined with black marble and bamboo, two women tireless churn out local noodle dishes prepared to order. The top of the short 4-item menu is the star, the Dan Dan noodles. 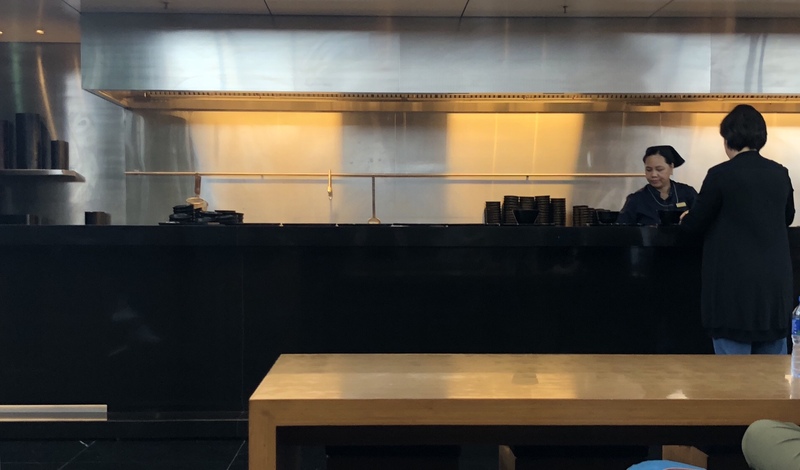 A black bowl on a black tray quickly arrived on the black counter. 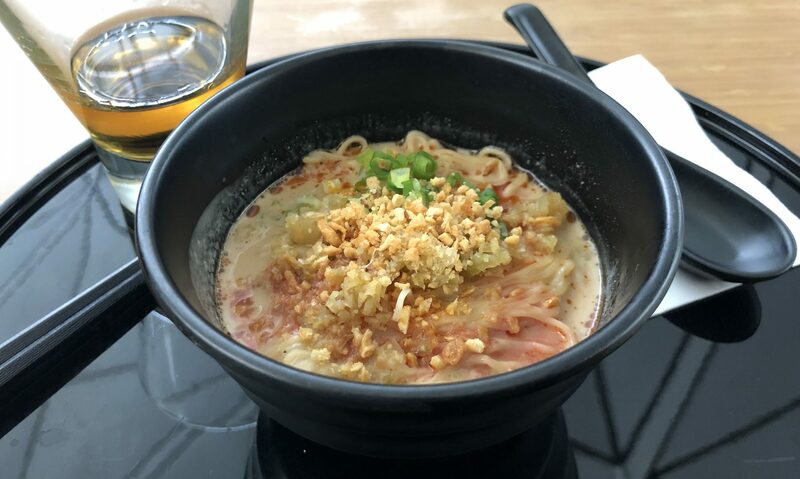 Simple thin noodles swim in a thick, creamy broth made with coconut milk and peanut. 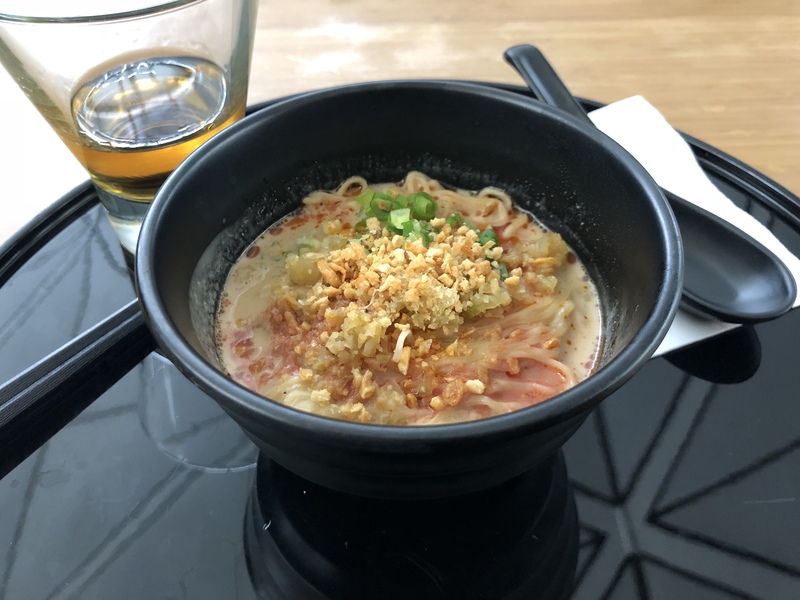 When you slide on over to the edge of the counter to grab a spoon and chopsticks, don’t forget to dress it up with a dash of chili oil, toasted garlic, green onions, and to cut the fatty broth, some Chinese red vinegar and pickled vegetables. Slurping up the rich warm broth contrasted with the cool refreshing vinegar and pickles makes a delectable experience. A palate of familiar flavors wrapped up in a new package.